It is based on a synthesis of various yogic techniques that include Devotion to the Supreme Being and Respect for the Spiritual Teacher, Purification, Meditations, Book Study, and Doing Service and Tithing. The Arhatic Yoga approach utilises a step-by-step series of practices that rapidly and safely accelerate the evolution of the soul of the practitioner. People from many different religious and philosophical traditions are successful in practicing Arhatic Yoga because of the universality of the teachings. Regular practice leads "a good person" to try to "become a better person, a better soul". The term “Arhatic" is derived of the word Arhat, which is an ancient Buddhist term which means saint, paramahamsa or a highly evolved being. The word "Yoga" is an ancient Hindu term derived from the root word "Yuj" which means "to Yoke" or "to Join" or to achieve "Union through Discipline". 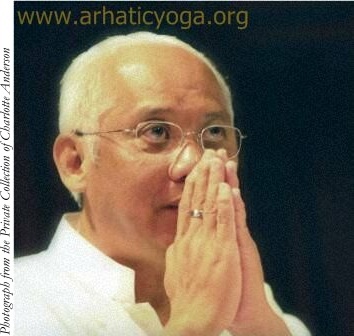 Arhatic Yoga is being practiced by thousands of practitoners throughout the world. In Arhatic Yoga, there is a strong focus on Character Building, including concepts based on Right Thoughts, Right Words and Right Actions. Other aspects of Character are emphasized including Loving Kindness and Non-Injury, Generosity and Non-Stealing, Honesty and Non-Lying (Accurate perception, correct expression, objectiveness), Constancy of Aim and Effort, Moderation and Non-Excessiveness (Self-Mastery). 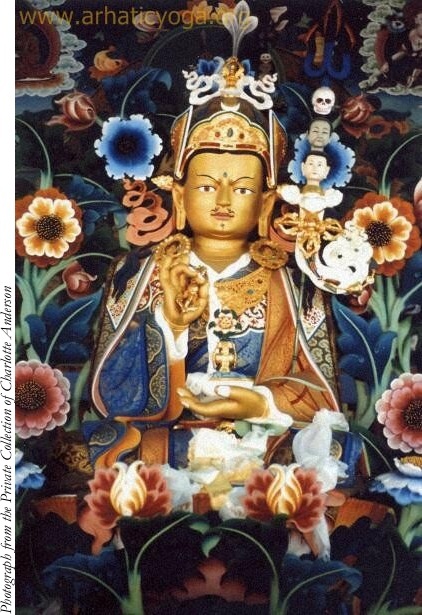 Through actively practicing these positive aspects of character, and by consciously strengthening character qualities, additional negative Karma can substantially be avoided. Spiritual Development does not mean a practitioner should give up their religion, but rather that they become better and even more dedicated to their personal religious, or philosophical tradition. Arhatic Meditations are designed to create balanced development in Arhatic Practice. The aspects of Will (Sat), Intelligence (Chit) and Love (Ananda) are strengthened in the practitioner, through the use of regular, varied meditations. This meditation develops the human and spiritual hearts or "The Twin Hearts". A thorough cleansing of the chakras and aura occurs through the "down-pouring" of spiritual energy. This effect "flushes" the energy system and physical body with Divine Energy - which when cleansed - lead the mediator to feel deeply relaxed and internally calm. In this meditation the practitioner gently and steadily awakens the Kundalini Energy. A special circulation of energy is done through combining Kundalini Energy with Divine Energy. The regular systematic cleansing and energizing of the aura and chakras, helps to proportionally balance the chakras. This results in increasing the physical body's ability to handle greater amounts of subtle energies. It enables the brain and the nervous system to register "higher" levels of consciousness and helps the practitioner to remember their inner experiences. This advanced meditation enables the practitioner to develop through the practice of prolonged Sensitivity or Awareness together with a little bit of Concentration. Regular practice of Arhatic Dhyan allows the meditator to reach a state of deep inner calmness and inner stillness, which leads to a state of inner peace, inner bliss, to becoming aware of their "true nature" and of their interconnectedness and oneness with all.